The law of trespass prevents others from crossing your property boundary without permission, including beneath the ground surface. Drilling across your boundary, even at depth, currently requires your permission. However, the government is drafting legislation in the Infrastructure Bill which would give licence holders the right to cross your boundary and use your land below 300m for petroleum exploration and extraction purposes, including drilling, fracturing, placing infrastructure and passing any substance into it and leaving it there. According to the government this doesn’t apply to coalbed methane exploration because the permission to drill under your property can already be grated through the Coal Authority. American coalbed methane experts have suggested extracting coalbed methane in Somerset between 152m and 1,524m (500-5,000ft). 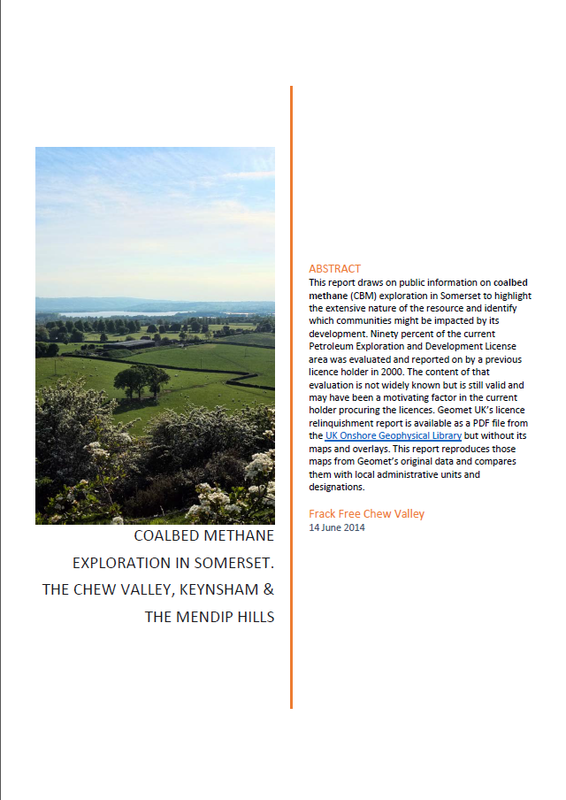 In Somerset there is the possibility for both coalbed methane and shale gas exploration and development. If you don’t agree with the government changing the rights of access and use to your land then you might want to consider signing a petition to MPs to that effect: Petition to MPs: Stop Cameron’s new fracking law! The bill will have its third reading in Parliament on the 26th of January. There is an existing exploration licence on the Mendips and the rest of the area, including most of the Chew Valley, is currently up for grabs by the gas companies but we won’t know until later in the year if any new licenses will be granted. A rally is being organised in Westminster, 12.30 – 3pm on the 26th January, for people to demonstrate their opposition to fracking in the Infrastructure Bill. As well as the issue of trespass, there will be consideration of a proposal for an outright ban on fracking.